A big part of the fun of gardening is getting to know your fellow gardening peeps. This past year, I got to get up close and personal with great gardener Heidi Heiland of Heidi’s Lifestyle Gardens of Plymouth, MN. My profile of Heidi and her gardening lab and studio — which also happens to be her gorgeous zen home — is featured in the May/June issue of Northern Gardener magazine. You can check out the article online at the moment. The Minnesota State Horticultural Society is making Northern Gardener magazine available online for free for the first half of 2013. If you garden in colder climates, this is THE magazine for you. Check it out and get a membership or subscription. 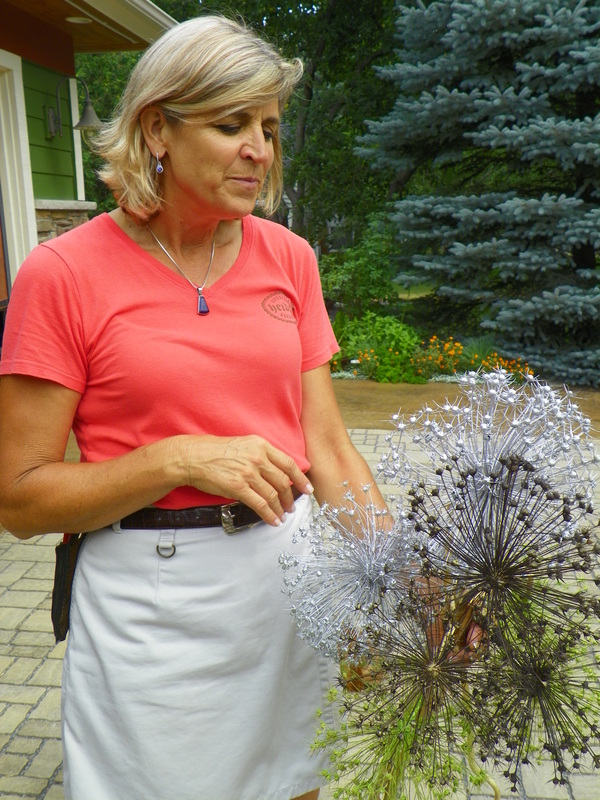 A garden artist, Heidi sprays spent allium blossoms silver to bring the garden indoors. Back to Heidi. Spending time with Ms. Heiland taught me how a great garden cannot be separated from the gardener who tends it — the two are inseparable. We’ve all visited a garden that is perfect, pristine, stunning even, but after a few minutes, we’re ready to move on. These are gardens, I believe, that lack the personal stamp of the gardener. The entry garden sets the stage. Heidi’s hubby is a cowboy and the front walk announces this to the garden visitor. 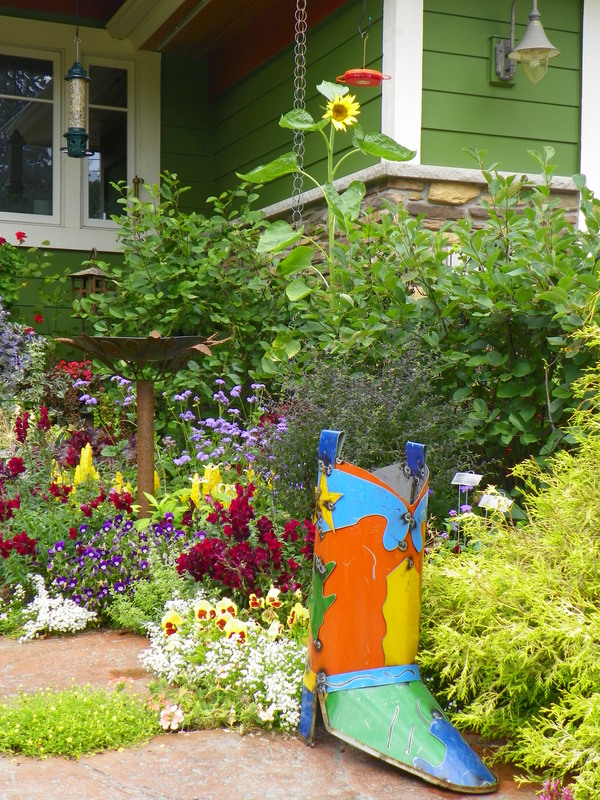 What does your entry garden say about you? 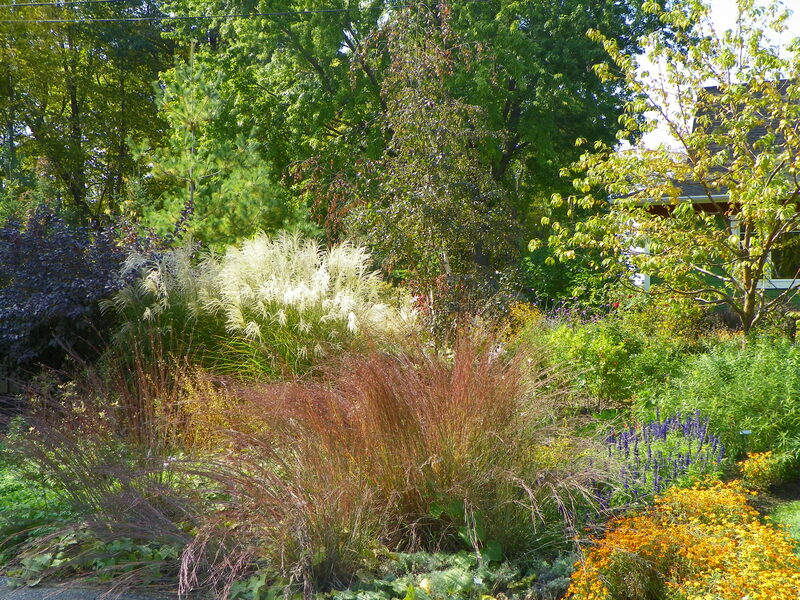 Designing a garden to exhibit year round interest keeps the gardener engaged. When I visited Heidi’s garden in September, it was glorious. My garden was pooped out in September and Heidi pointed out that the garden doesn’t give up on us, we give up and disengage from the garden. Tropicals do work in northern gardens! 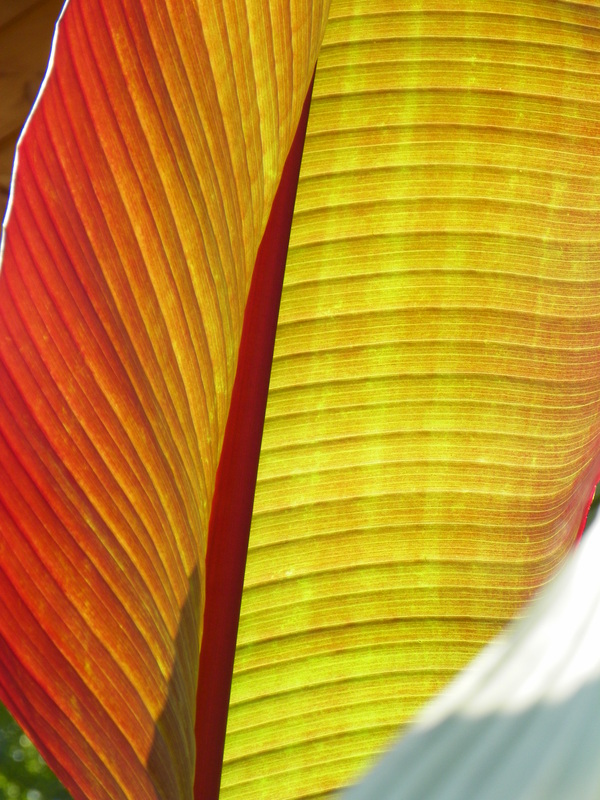 I’ve always had a bit of a distaste for hibiscus and palms and such in zone 4, but the banana tree in Heidi’s garden is a wonderful focal point and the colors just work. 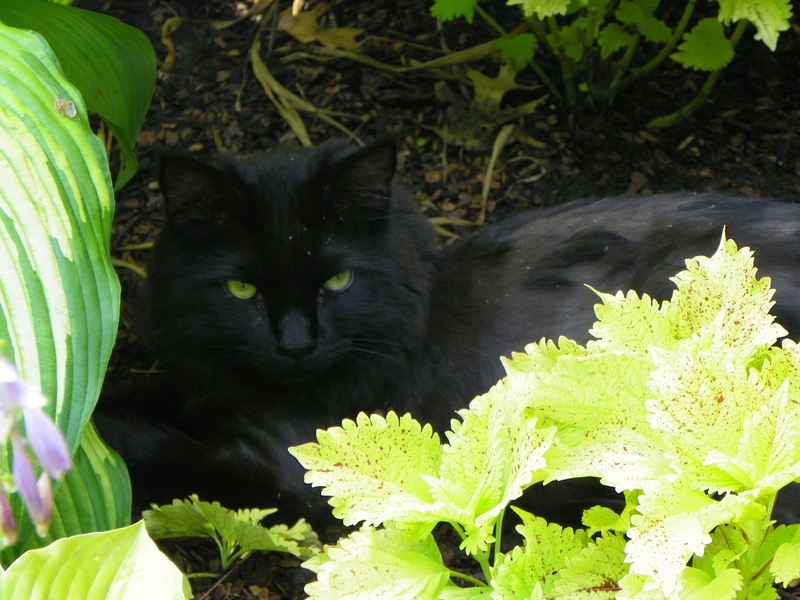 Plus, it’s an old garden friend, spending year after year in the garden. It happily overwinters indoors. 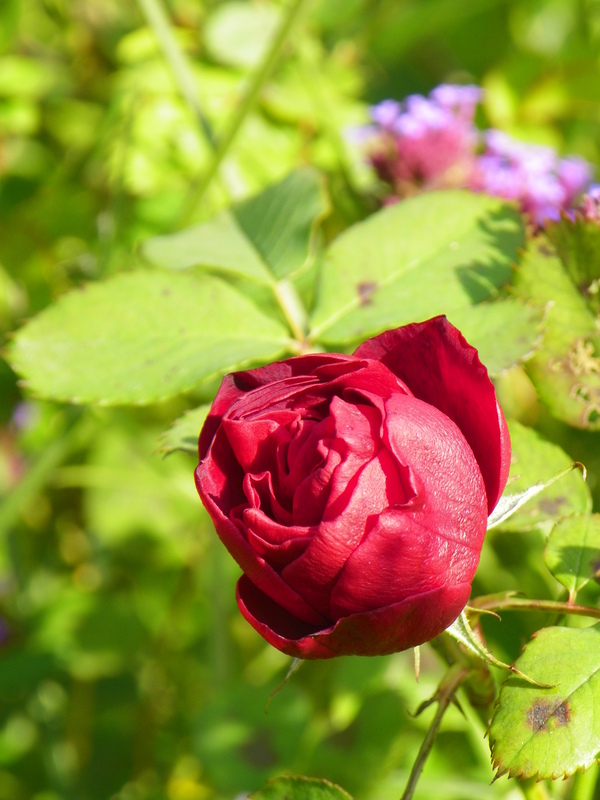 The shrub rose ‘Hope for Humanity’ is considered one of the deepest blood-red roses you will find. It blooms in clusters all season long and is disease and pest resistant. Hardy to zone 3, it maxes out at 3 feet by 3 feet. In Heidi’s garden, it holds court front and center in a front yard bed, where it’s delicate fragrance can be enjoyed. It does give one hope for humanity. Near the heart of the city, yet miles away. 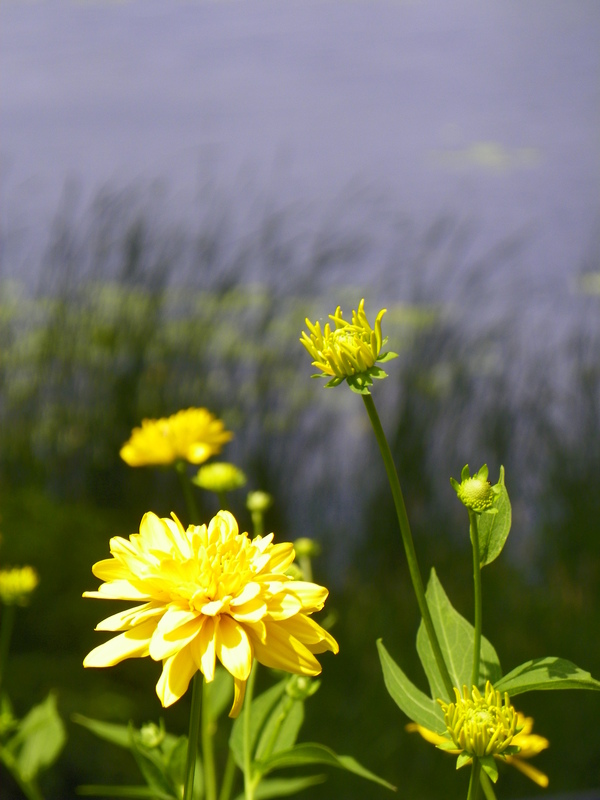 The helianthus blooming near the lake is a family heirloom plant, passed down from a close relative. We need to fill our gardens with heartfelt plants. 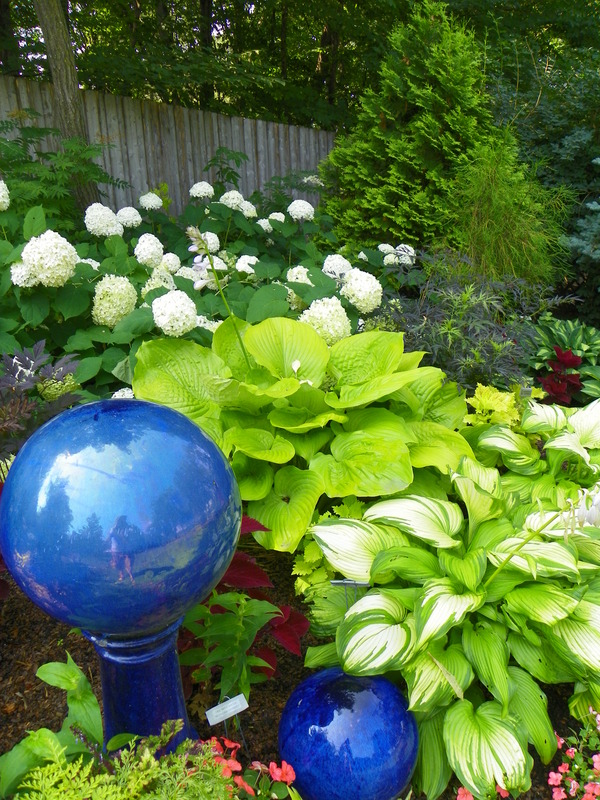 Hosta and hydrangea are always the ideal shade plants and perfectly accented with blue garden art. A well-tended woodsy feel in the garden. 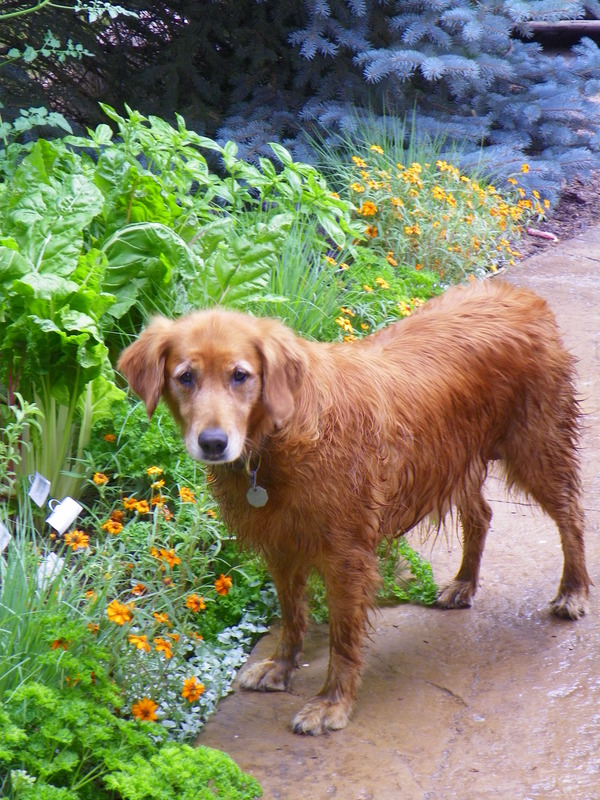 Heidi’s canine and feline friends are at home as much as the plants in her garden. Dogs and cats are a common find in Heidi’s garden. Heidi’s garden is a diverse mix of the old standards and the latest developments in horticulture. 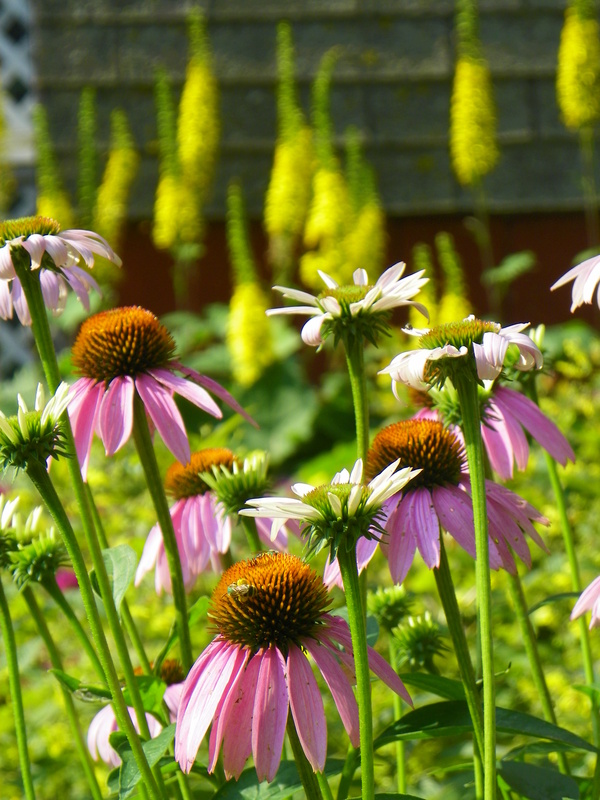 She really got me interested in the old stalwart perennials, though, the tried and the true. They are the backbone of the northern garden. 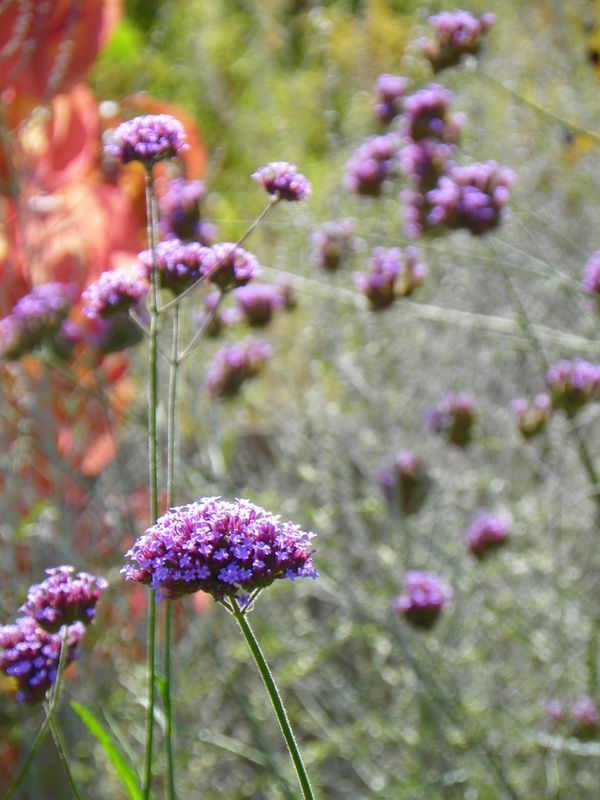 Though Heidi’s garden beds are highly and thoughtfully designed, she leaves plenty of space for the reseeders, like stunning verbena bonariensis. Plan for the randomness of nature is what I took away. Make room for Mother Nature to make her magic. 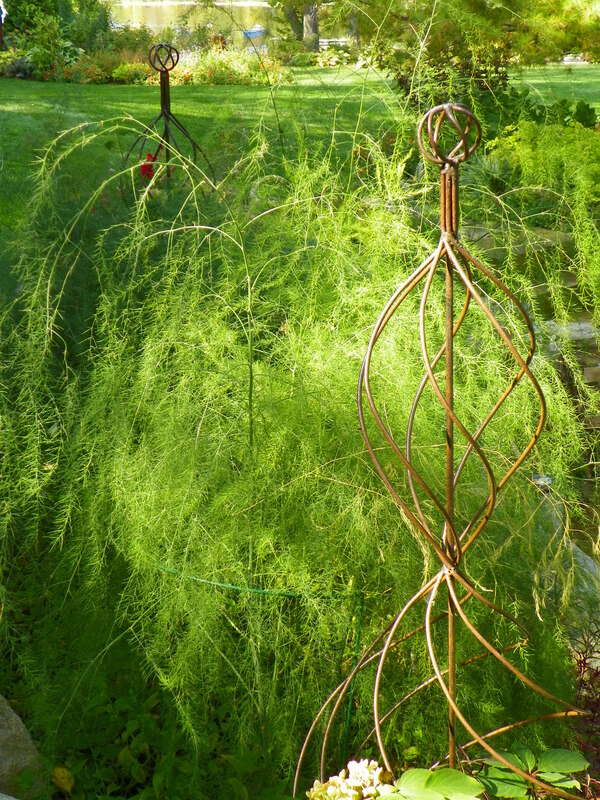 Asparagus ‘Jersey Giant.’ Vegetables co-mingle freely with ornamentals in Heidi’s garden to great visual effect. After you harvest the asparagus in the spring, you enjoy the plant in it’s full glory. Picking and harvesting further engages the gardener in the garden. 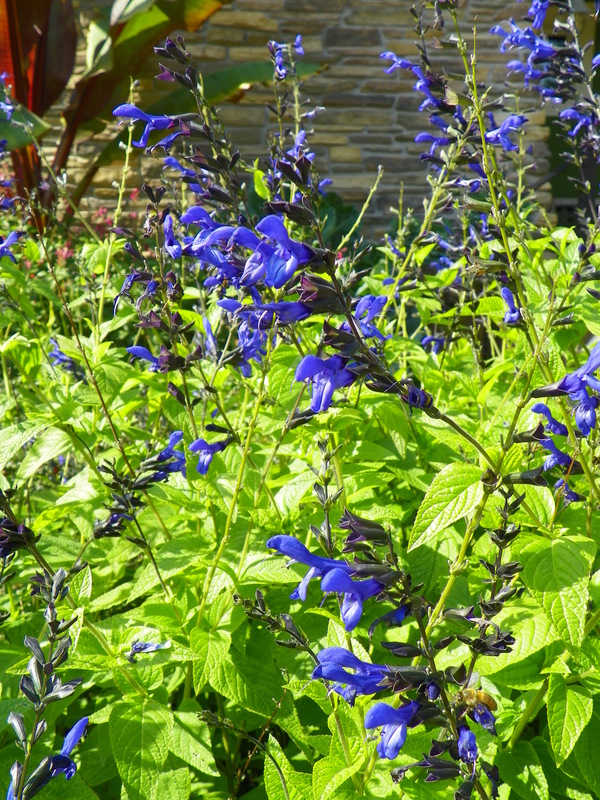 Black and blue salvia is a hummingbird magnet, in addition to being a striking addition to the garden. Heidi communes with the hummingbirds in her garden.